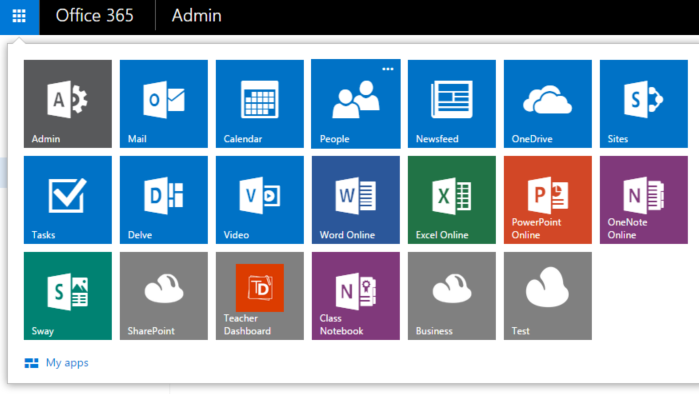 The Office 365 app launcher is a great way of getting easy access to single sign-on applications within Office 365 and externally. Recently Microsoft introduced some functionality to allow users to add thier own links to the app launcher. This is a great way of quickly getting to a particular link. To add a new tile, you will need to create an image for the background of the tile. Ideally you want this to be a white image with a transparent background saved as a PNG. This keeps it in line with the app launcher style and the transparency shows the tile colour behind the background image. This should be a small and compressed image to keep the load time to a minimum. 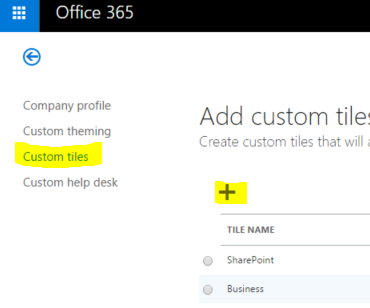 The tile image is best hosted in a SharePoint picture library, make a note of the absolute link to the picture as you will require this when adding the custom tile. In the Office 365 Admin interface, select the “Organisation Name (Edit)” link in the top right corner. In the left menu, select “Custom tiles” and then click on the plus button to add a new link. 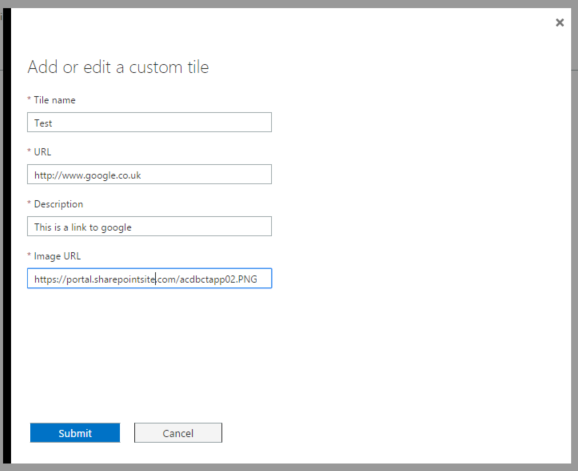 Enter a name, url (where you want the tile to send users), description and Image Url (from the image stored in the SharePoint picture library). Press Save. The new tile will still not appear in the app launcher, however it is now available to add by clicking on “my apps” at the bottom of the app launcher. Select “Pin to app launcher” from the menu next to the new custom tile. The new custom tile is now added to the app launcher. This is a great way to add a quick link to your SharePoint site collections without having to go throught the “Sites” page each time. Please note that this method only adds the custom tile to the app launcher for the currently logged in user, not all users in the organisation. At the present time there isn’t an option to do this. This entry was posted in App Launcher, Office 365, SharePoint News, SharePoint Online, SharePoint Online Permissions, Tony Phillips and tagged App Launcher, Cloud Design Box, Codnor, Custom tile, Derby, Derbyshire, Hull, Office 365, Office Online, Phillips, Pin Tile, Pin to App Launcher, SharePoint, SharePoint Consultancy, SharePoint Design, SharePoint Online, SharePoint Tony, Tony, Tony is here, Tony Phillips, tony phillips derby, Tony Phillips Hull, Tony Phillips SharePoint on October 6, 2015 by Tony Phillips.